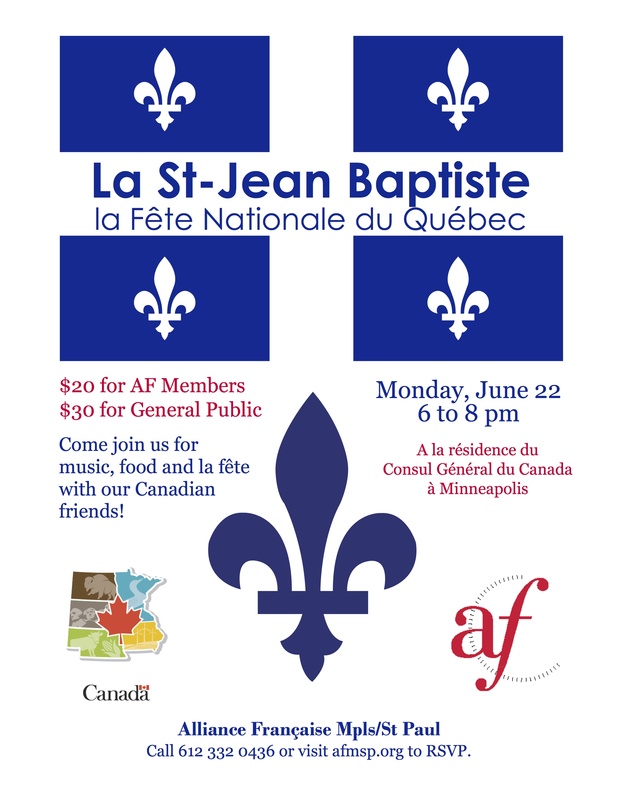 Communities throughout the Great Lakes region, as well as in New England, celebrate the Feast of St. Jean-Baptiste, the Fête Nationale de Quebec and a very old tradition in French Canadian culture. I am happy to share this poster here at the request of the Alliance Française Minneapolis/St. Paul.